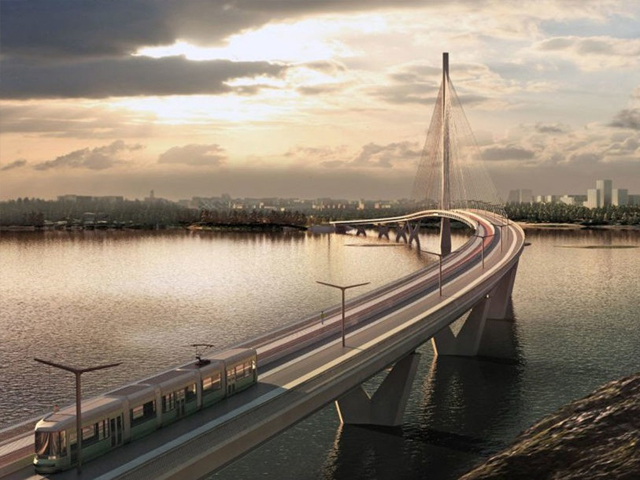 UK firm Knight Architects in collaboration with engineering firm WSP-Finland has unveiled its design for Finland’s largest bridge, the Kruunusillat, which will extend over Helsinki's Kruunuvuorensilta Bay. 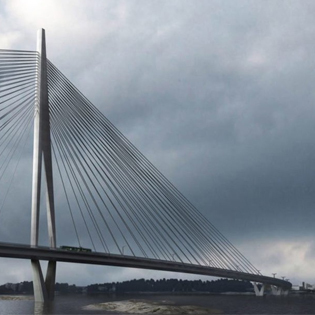 The $109 million Kruunusillat crossing translates as Crown Bridges and will span an impressive 1.2km. The bridge itself is comprised of a diamond-shaped pylon that will support the centre of the gently arcing bridge. Osborne praises the design form, stating, "the distinctive form of the central 135m pylon of the symmetrical cable-stayed design is a tall slender diamond, with multi-faceted surfaces designed to catch light and shadow both by day and night." 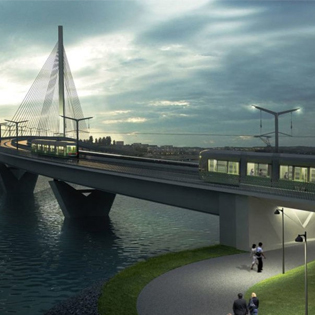 Cable stays will be tensioned from the upper part of this structure, while the base will elevate the walkway and tram tracks above the water. The diamond shape is intended as a reference to the royal ownership of the bay area. 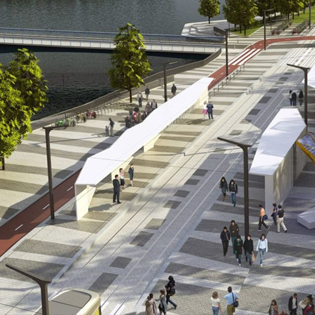 The Kruunusillat will be the functional centrepiece of a much larger project and will provide a crossing for pedestrians, cyclists and trams to and from the Kruunuvuorenranta development to the east of the capital - a scheme providing 580,000m² of residential space and 6000 housing units by mid-2020 - to the city centre. Kruunuvuorenranta will be built in the former oil harbour area in Laajasalo, and by 2025 the project will provide homes for some 11,000 people and workplaces for about 1000 people. There will also be parks, nature reserves and beaches created for recreational use as part of the development. Osborne notes Kruunusillat is "a high-quality, lasting piece of infrastructure, which will be instantly recognisable and synonymous with Helsinki." 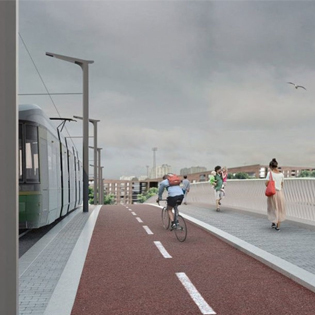 Construction of Kruunusillat is expected to begin in late 2018, with the bridge opening to the public in 2025.